This image is a detail of the bottom of the door graphics. All the pictures are digital prints that are then cut out. 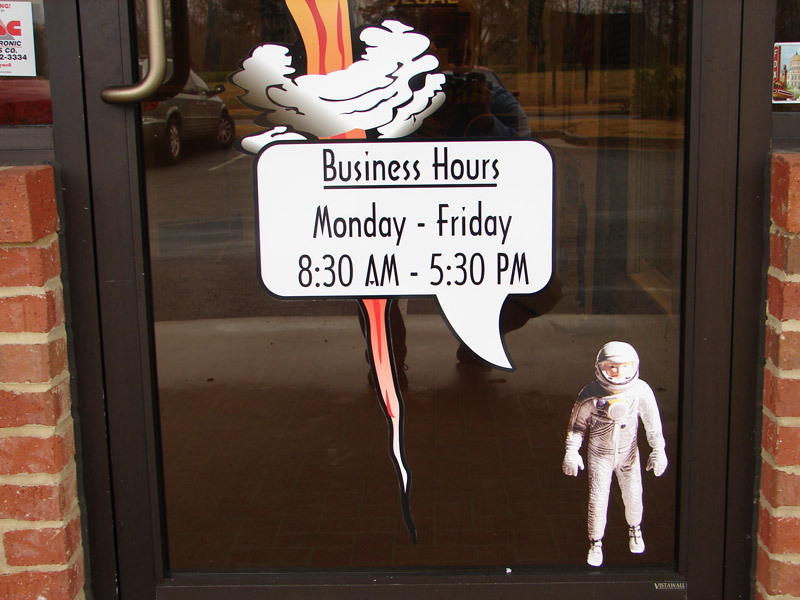 The astronaut stands about 11 inches tall.